TheLEADERJoining the Comprehensive and Progressive Agreement for Trans-Pacific Partnership, Vietnam will not only commit to open the market, remove tariff barrier, promote trade liberalization and facilitation but also promote the publicity and transparency of state management in market development. 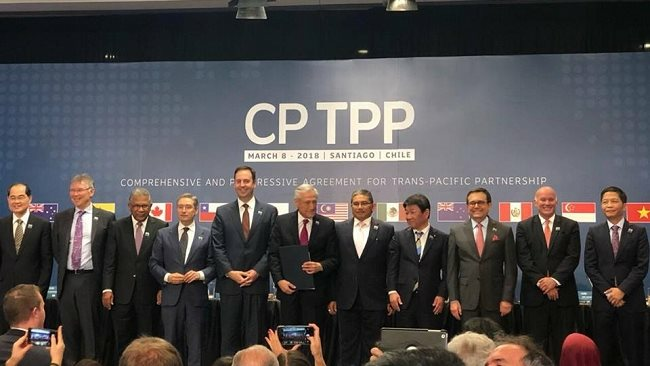 The signing ceremony of CPTPP in Chile. 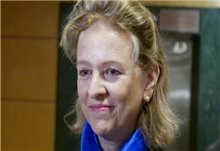 Today, the Comprehensive and Progressive Agreement for Trans-Pacific Partnership (CPTPP) has been signed in Chile, marking the fruit for big efforts by 11 countries around the Pacific Rim, especially after the biggest partner being the US announced their withdrawal from the TPP in January 2017. According to Pham Hong Hai, general director of HSBC Bank (Vietnam), CPTPP does not only embrace trade but also investment, intellectual property and other principles; therefore, it’s really a comprehensive deal and is much more progressive than the previous ones. The signing of the CPTPP marks a milestone for the global economy especially when protectionism is arising. “CPTPP is a big, ambitious deal for Vietnam. It will matter hugely for future growth, jobs and living standards. Now is the time for both firms and government to focus on implementing today’s agreement to achieve its full potential. 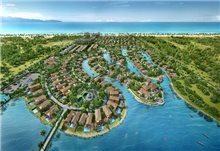 It’s encouraging that many businesses are already expecting to see benefits,” said Hai. New data from HSBC Bank’s recent comprehensive survey of global businesses shows that the majority of 63 per cent of businesses in Vietnam believe CPTPP signed today will have a positive impact on their business. 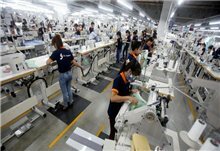 According to HSBC’s leader, with the US not present in the CPTPP, Vietnam’s benefits may be less than the TPP, for example, GDP will only move up 1.32 per cent instead of 6.7 per cent, exports will increase by four per cent instead of 15 per cent. However, in general, industries like garments and textiles, leather footwear and labour intensive ones will still benefit. 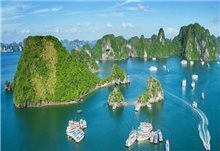 Vietnam will be able to take advantage from accessing to member markets of the deal, especially those on the other side of the Pacific like Canada and Mexico. This is amplified by the fact that some other countries and markets are expressing a good will to take part in the deal like Taiwan, Korea, Thailand, Indonesia and the Philippines which will bring the benefits of all members three times, equivalent to roughly US$500 billion per year.